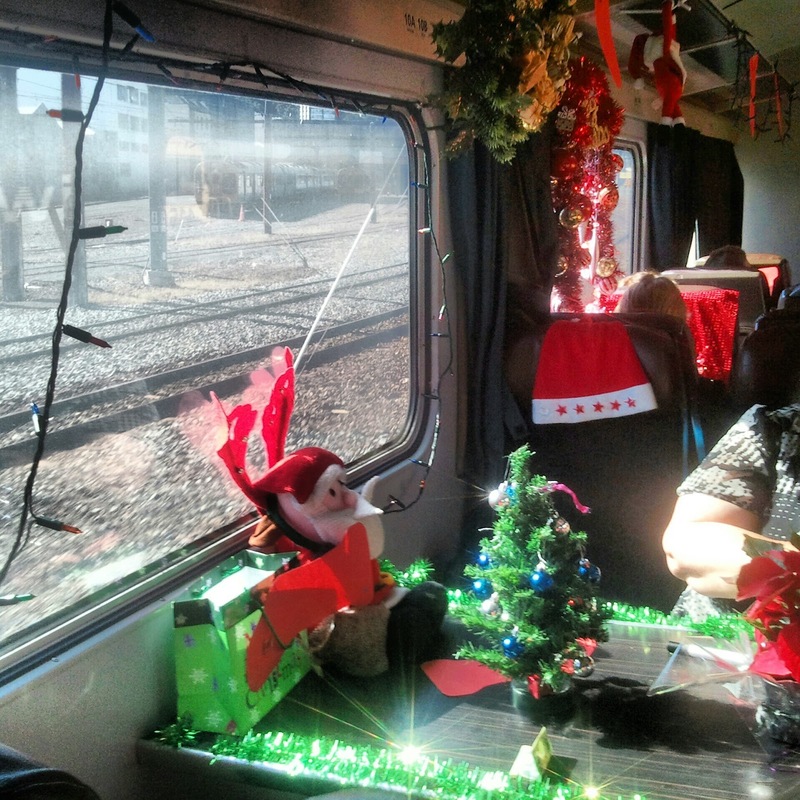 It was Ho Ho Ho on the Choo Choo train today. The Capital Connection ran a decorate your table challenge on board their trains today and the response was extremely positive. Props were all out in multiple array of colors. 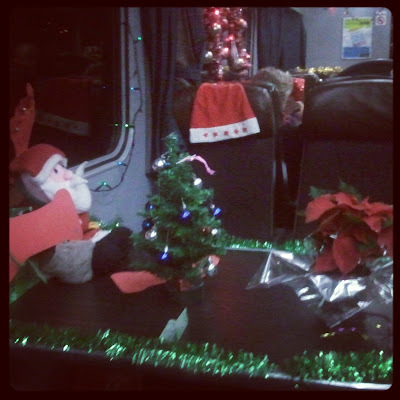 There were mini replica trees, toys, caps, socks, gift wraps and everything Christmassy. 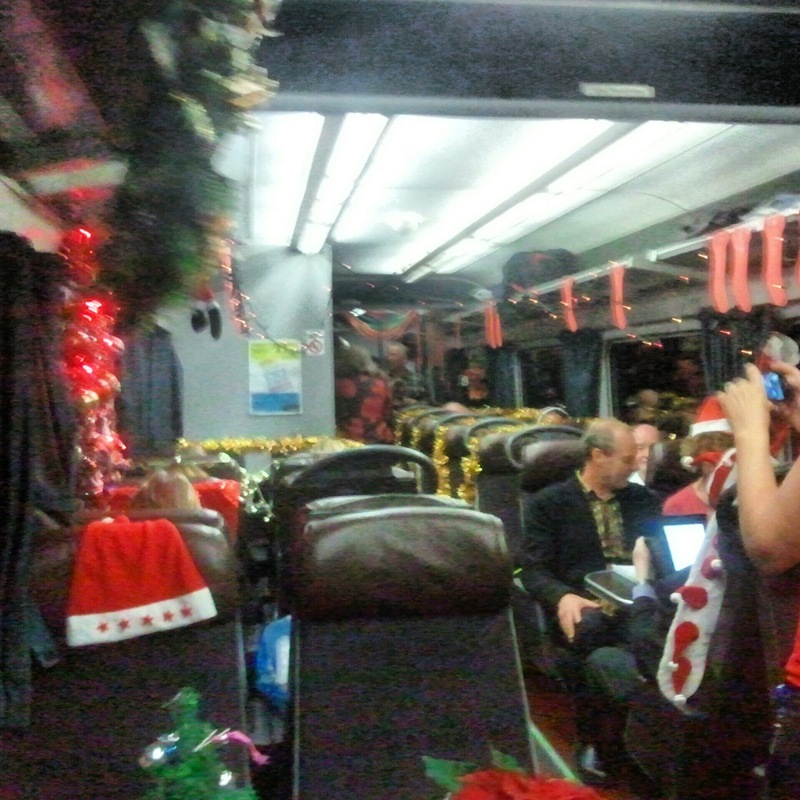 Passengers turned up with their Santa suits. There was even room for an actual tree. 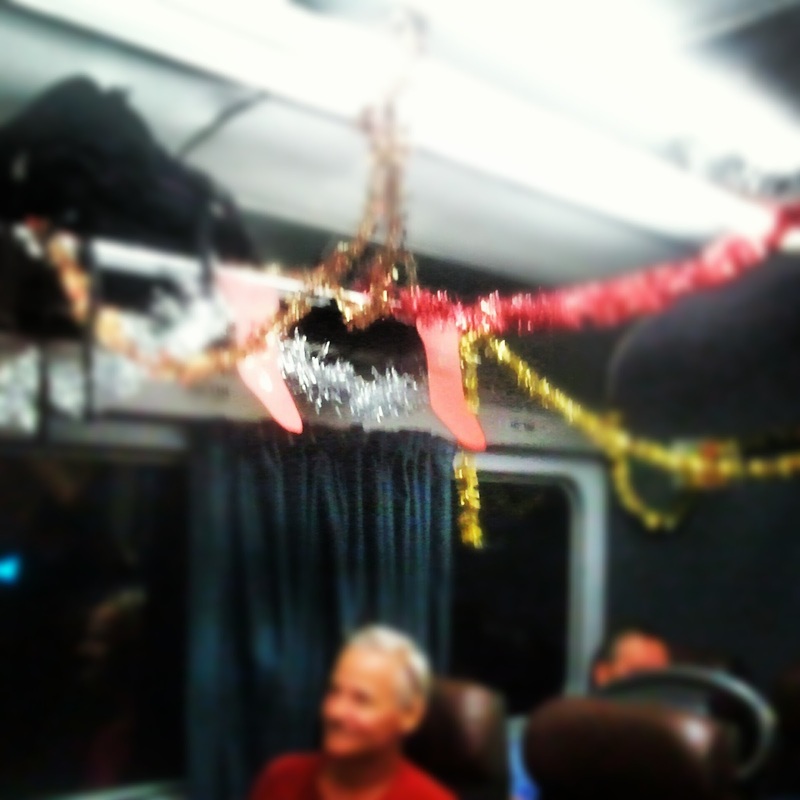 If you didn't know, Kiwis take their decorations very seriously. The amount of detail and effort put in was amazing. It was fantastic. Random strangers got together, props were passed around and everyone got involved. Us included, we did our part and joined in the fun. Ho Ho Ho. What started out as decorate your table soon transpired into decorate your entire cabin and get everyone moving. 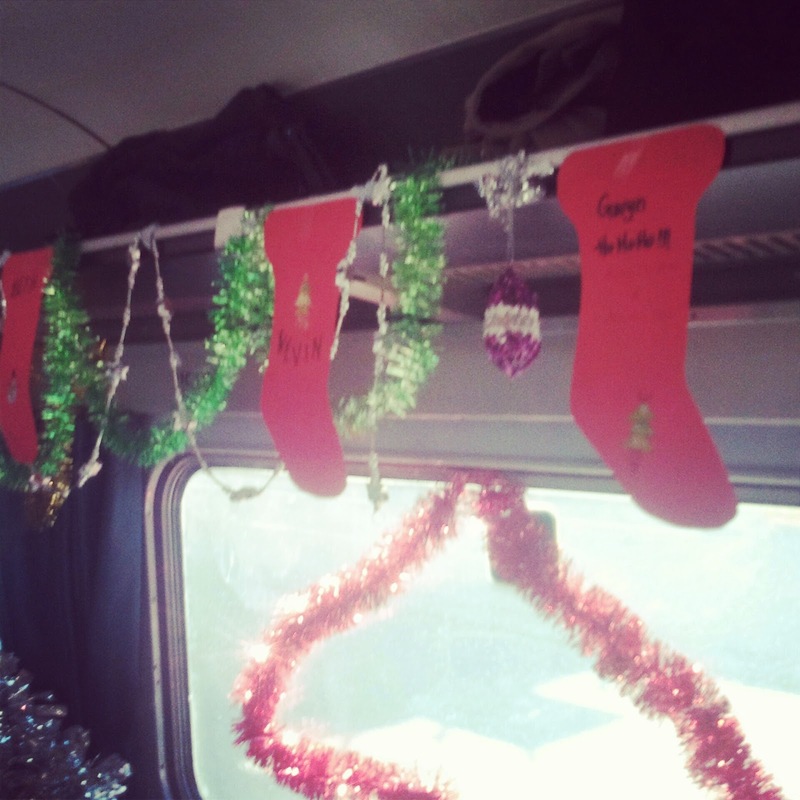 The festive mood around the cabin was certainly evident. Random people chatting, photo-taking, giving out chocolates and strawberries. We were fortunate to be in a cabin that was in it to win it. 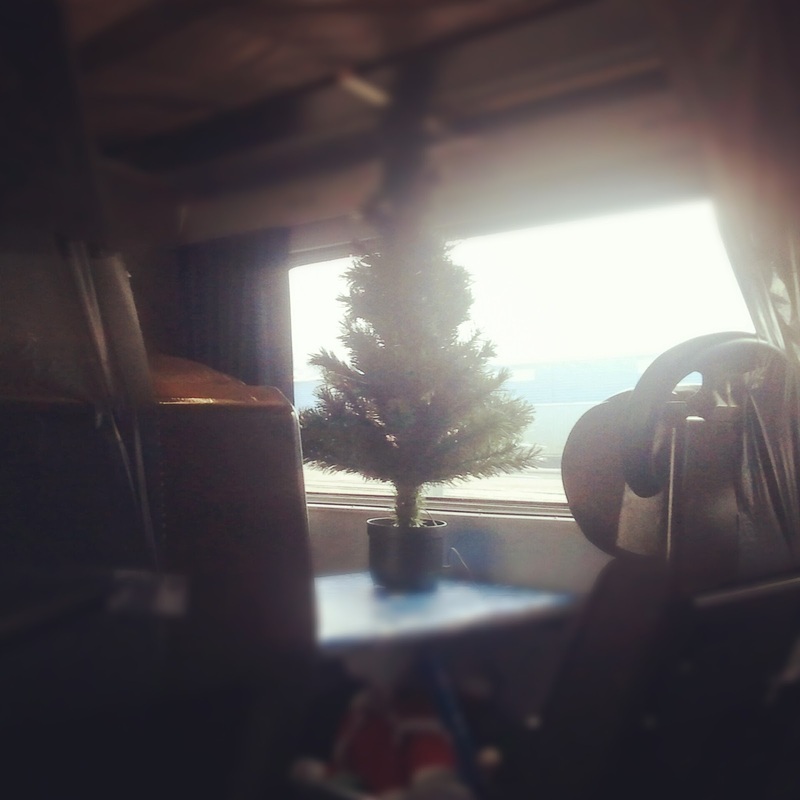 Midway along the trip, some passengers started singing Christmas carols. It was quite the experience and not something we would come across in Singapore. It wouldn't be feasible to have a similar contest would it. There is probably not going to be enough space! Six days to Christmas. Can't wait! Merry Xmas Kevin and Gwyn!!! We miss you folks lots!